Are you passionate about the performing arts? Would you like to share your experience with the next generation of performers? If so, then Act One could be looking for you. 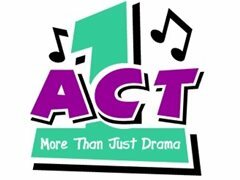 Act One was founded in 1996 and is a very successful youth theatre group based in Shepshed, Leicestershire, run by an entirely voluntary committee and production team. We are committed to providing the best experience possible of live theatre for this talented group of young people and to this end perform a full musical in February and a concert in July each year. We are proud to have had several members go on to work professionally in the theatre over the years. Our current Musical Director is leaving after 12 years’ service and we are looking for someone to take on this role starting in August 2019. We plan to invite interested candidates along to a rehearsal to get a feel for the ethos of the group, and our current MD will be very happy to discuss the role in more detail. We may also ask you to take part of a rehearsal at a later date. Performances are usually 1 week in January/February and 1 week in June/July annually ongoing.